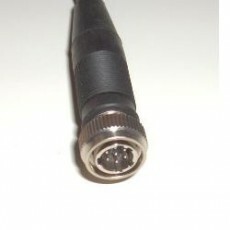 Replacement Microphone connector to suit Codan 9323 / 9360 / 9390 / 9780 radios. Direct "compatable" aftermarket replacement for the original item..
Can organise installation at extra cost if required. 7 pin inline male with screw lock and rubber shroud.